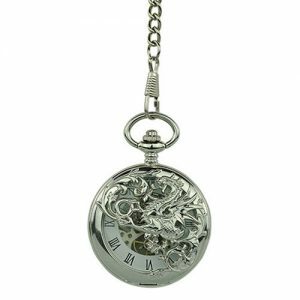 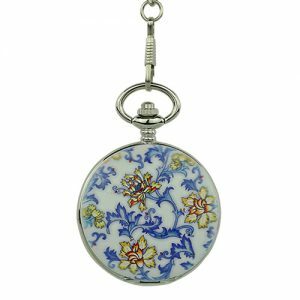 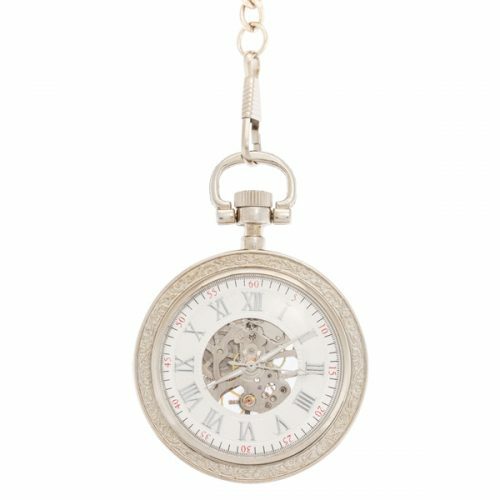 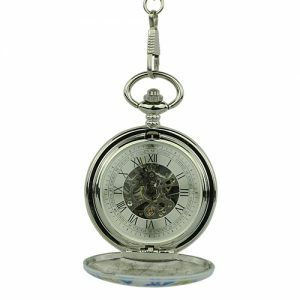 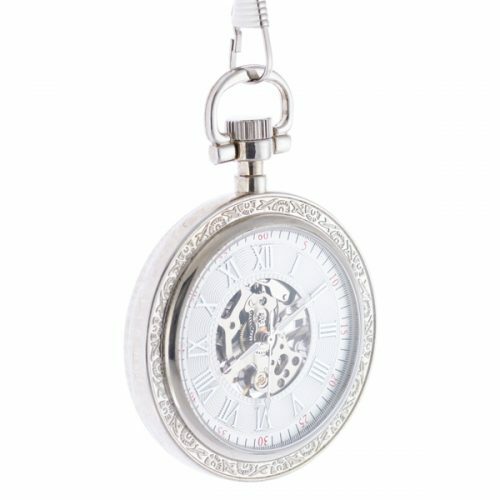 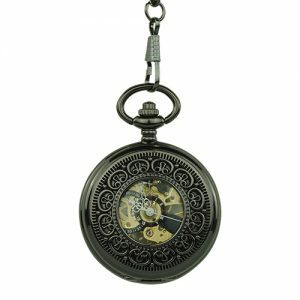 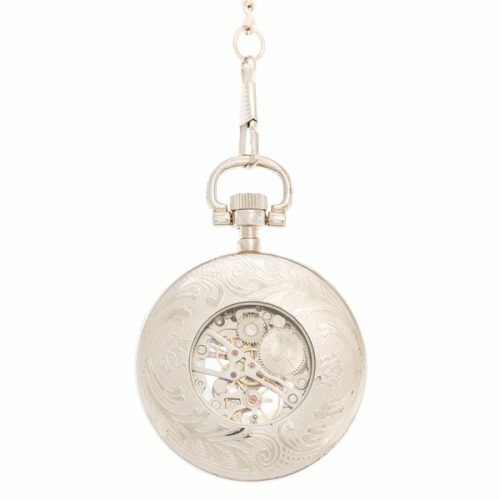 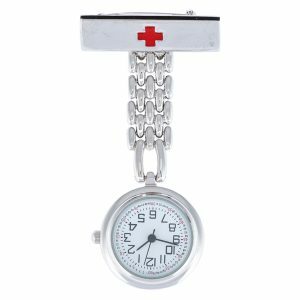 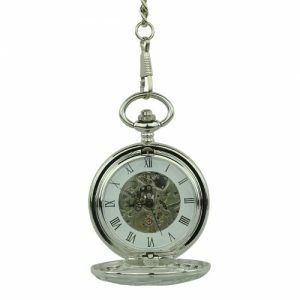 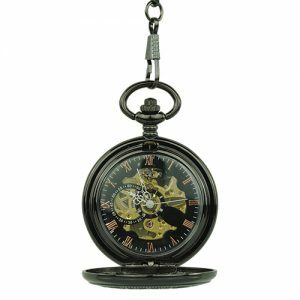 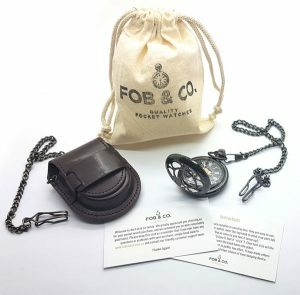 Ornate Trim Silver Tone Pocket Watch - Fob & Co. 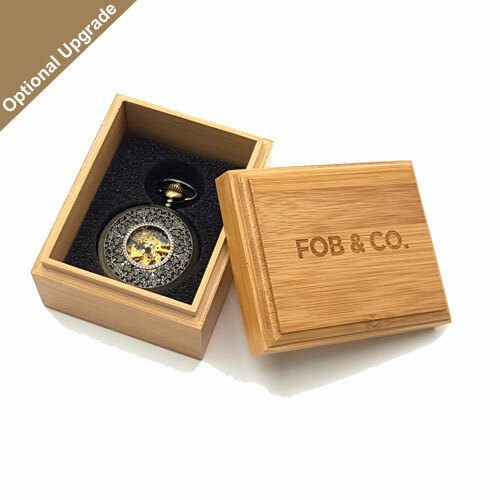 Claim this handsome watch as your own! 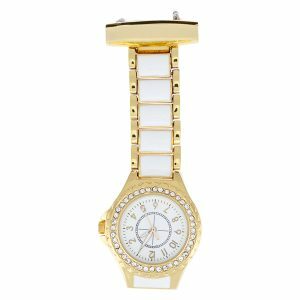 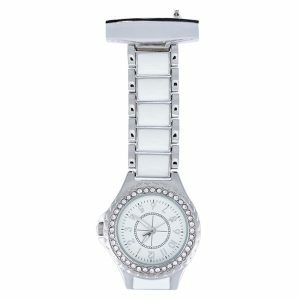 For flair with any outfit, it features a silver outer ring and a large viewing window that reveals a white outer ring watch face with elegant Roman numerals and a see-through centre to the silver-toned inner workings.